What Makes a GOP Debate Audience Cheer? Or Jeer? What do Republican voters think of Don’t Ask Don’t Tell? What about income inequality? There are certainly more scientific ways to take the temperature of a political party, but we have found the audience reactions at recent GOP debates somewhat instructive. The following clips, all taken from the past few months of debates, show the statements that caused audiences to cheer or boo. So what gets the Republican Party riled up these days? Likes include: waterboarding, executions, and Andrew Jackson’s belligerence. And some dislikes: gay soldiers, sexual harassment accusations, and any attempts by Ron Paul to get inside the head of our enemies. 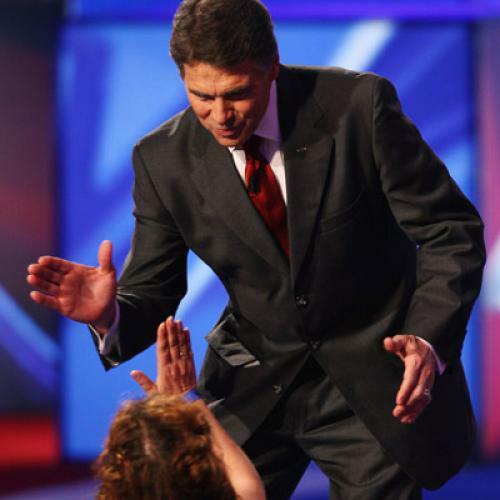 On September 7th, Rick Perry’s record-setting 234 executions as Governor of Texas were met with a shameless display of enthusiastic applause from the seats of the Reagan Library. Newt Gingrich’s warmongering allusion to a 13-year-old Andrew Jackson fighting in the American Revolution—“Andrew Jackson had a pretty clear-cut idea about America’s enemies: kill them”—earned the former speaker a standing ovation. In a November 8th debate, CNBC moderator Maria Baritomo was loudly booed for asking what perceived “character issues” Herman Cain faced from the sexual harassment accusations levied against him. When asked Monday about intervention and unilateral military action in the Middle East, Ron Paul proposed a Golden Rule for American policy: “Don’t do to other nations what we don’t want to have them do to us. We endlessly bomb these countries and we wonder why they get upset with us…” Paul struggled to complete his thought over the loud jeering from the crowd.